If you choose Commercial security systems for your business from Advanced Home connect it will provide greater peace of mind, lower insurance rates, and a safer working environment for you and your employees. For small- or medium-sized businesses with minimal security needs, an off-the-shelf home ADT alarm system may be sufficient. In fact, many small offices can likely get away with using off-the-shelf ADT security system. However, for companies with more extensive operations, a larger physical location, more employees, or high-value assets need more sophisticated commercial security systems. These systems usually require professional installation and continuous monitoring and management. 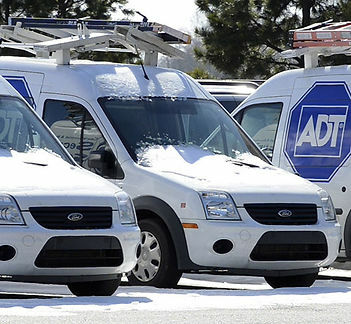 ADT has perfect complete commercial security systems for your company which will provide you with the peace of mind while your business thrives and grows. The majority of career burglars admit that commercial security systems stop them from attempting to break into your business. The reason they hesitate is they know the ADT commercial security systems are being monitored around the clock from various monitoring stations round the clock. From these networked monitoring centers, ADT’s highly trained staff is ready around the clock to assist you in case of an emergency. Smartphone’s and other mobile devices today are standard business tools. 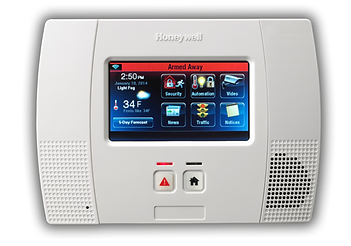 Commercial Security systems from Advanced Home Connect typically offer the ability to control your system and receive status from a Smartphone or tablet, as well as through a website portal that’s accessible through any secure Internet or cellular connection without the need of special software. It wasn’t so long ago that video wasn’t considered admissible evidence in many courts because images were grainy and blurry. Today, high-megapixel commercial security camera provides high-definition quality that not only provides fine details but also allow for zoom and frame-by-frame playback for pinpoint precision. We have the best commercial security camera option for all kinds of surveillance such as indoors and outdoors. Sophisticated commercial security systems can now send crystal-clear video clips via email to you and/or monitoring personnel so you can see for yourself if something warrants dispatching police, fire, or other emergency personnel. The frequency of false alarms is greatly reduced while you still sustain the highest levels of premise security. Make sure all key personnel know how the commercial security systems that you choose work, are comfortable with its operation and have updated access codes. Traditional commercial security systems rely on standard telephone wiring to transmit alerts. Phone lines, however, can be down during an emergency. Consider using a cellular backup system to protect against phone line failure. If you are retrofitting an existing facility, wireless may eliminate the labor-intensive, and possibly expensive, routing of wiring through existing walls. Reduce the cost and stress of false alarms by maintaining your system regularly. In particular, check window contacts after window cleaning—a major source of false alarm signals. Arming: Turning on or activating the commercial security systems. Central Station: Remote location that monitors alarm signals from customers in its geographic region. CCTV: Closed Circuit Television, common commercial camera systems often used in access control systems and for theft reduction. Contacts: Detectors that register the opening of doors and windows. Control Panel: The communications hub for the commercial security systems. All the devices in the system report to the control panel. Further processing, whether it is storage of video, images or transmitting alarms, takes place at the control panel. Disarm: Turning off or deactivating the commercial security systems. Dummy Camera: Not hooked into any commercial camera systems, the dummy camera acts as a deterrent by giving the impression that recording is taking place. Duress Alarm: A button or other device activated by a person in trouble or who have observed a problem, as opposed to a sensor that detects a signal interruption. Entry/Exit Delay: A short, designated time that allows you to enter a building and enter a code to prevent the system from issuing an alarm. Once you arm commercial security systems, you have the same designated period of time to leave the premises without triggering the alarm. IP Cameras: Cameras that use Internet Protocol (IP) to transmit video in digital format across data networks, both private Local Area Networks (LANs) and more secure Virtual Private Networks (VPNs) as well as the public Internet. Multiplexer: Accommodates a larger number of commercial camera systems feed and is capable of recording and displaying them simultaneously. Partition: A zone that can be armed or disarmed separately from other zones. Seismic Sensor: Detects vibrations caused by breaking glass, earth tremors, or other out-of-the-ordinary pulsations. Ultrasonic Sensor: Sends a stream of high-frequency waves throughout an area. When a wave is “broken,” it is an indication of motion taking place. Wired or Hardwired: All devices in commercial security systems are connected by wires to the control panel. 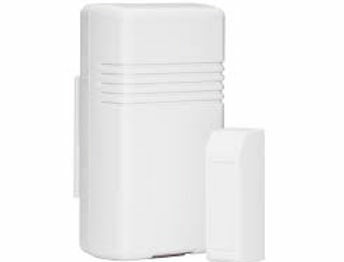 Wireless: Sensors transmit information, such as an alarm notification, over a wireless Internet network or cell phone network to a central station or contact person.